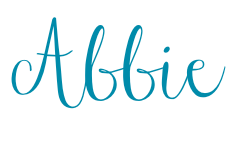 Hi, I’m Abbie, and M is for Mama is an unapologetic ode to messy, maddening, miraculous motherhood. It’s also where I share my favorite non-M-related passions–like thrifting, endless furniture and knickknack rearranging, exercising, baking yummy treats, putting together ridiculously cheap outfits, hot-glue crafting, and typing out my deep (and not-so-deep) thoughts…almost always with one of my 5 children on or near me. I love Jesus, good grammar, and ho-cho (which I don’t get to drink nearly as often as I’d like in the muggy, pine tree forests of East Texas). (I also love parentheses). (Can you tell?). I hope you’ll stick around and share what you love too! See that expression on my face? That’s normal. Or at least as close to normal as it gets with 5 kids under 8, including identical twin baby girls. Same goes for the expressions on everybody else’s faces, come to think of it. So, who am I? Well, first and foremost, I am a child of God, a sinner saved by grace through Jesus Christ. Second, I’m the wife to one amazing renaissance man who has been known to do things like build our entire house from scratch with his own bare, manly hands, hack my blog for the best birthday surprise a blogging girl could ask for, and just generally keep me sane in the midst of the mayhem that is life with 5 littles. He is my hero, and I very much hope that we will be one of those tottery old couples you see shuffling through the park, gnarled hands entwined, white heads bowed close together on a sunny fall day. (You can read more about our love story here). And third, I’m a Mama. Everything else is icing. I also love to travel, which doesn’t seem like it would work with the aforementioned brood of ankle-biters. But we have some pretty amazing family close by who enable us to take trips to fantastic places like New York City, Mexico, and even Fairy Land…every once in a while. I’m a former high school/college tutor, turned high school Spanish/ESL/English teacher, turned fitness instructor, turned homeschool mama. My mom was a teacher before me, so evidently, it’s in my blood. On my good days, homeschooling seems like one of the most fulfilling things ever. On the not-quite-as-good-ones, I feel like stabbing my eyeballs with the nearest fork. Or eating lots of chocolate. (Both of which are good arguments for doing school far away from the kitchen). 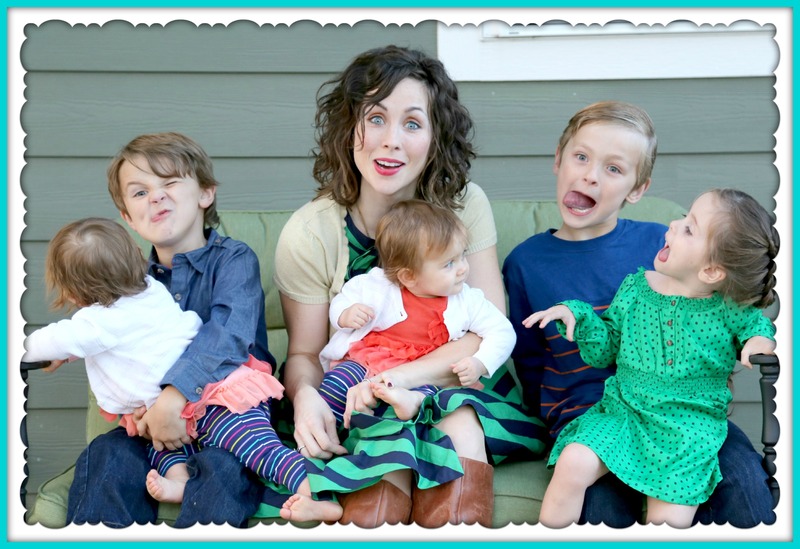 I never planned to have 5 children before I turned 30 (13 days before, to be exact), but then again, I never planned not to (you can read about our open-handed approach to family planning–plus how I felt when I first found out we were having twins–here). I tell you what, though: I definitely never planned to have twins. In fact, I begged God to give me anything but multiples (which, if you think about it, meant: boy OR girl. What can I say? I’m not a very creative pray-er sometimes). But, man, am I glad he didn’t listen or else I wouldn’t have these cuties. (You can read their HOME birth story here). It shouldn’t take too long reading my blog to discover that I’m kind of bargain-obsessed. I like to knock off expensive, designer things, and I even pull crazy stunts like racing through Goodwill in 30 minutes to see how many dirt-cheap outfits I can put together before the timer goes ding! I’m also a former movie buff who would rather watch a well-acted sad ending than a hackneyed happy one. And the clever, machine-gun dialogue of Gilmore Girls (hence the “ho-cho” reference–I am an avid fan through about mid-season 4, when everything went all downhill and skanky fast) just makes me happy. You can read about some of my favorite movies (here and here). In case you’re wondering, M is for Mama started about 2 1/2 years ago as Five days…5 ways–a weekday outlet for my many and varied interests. 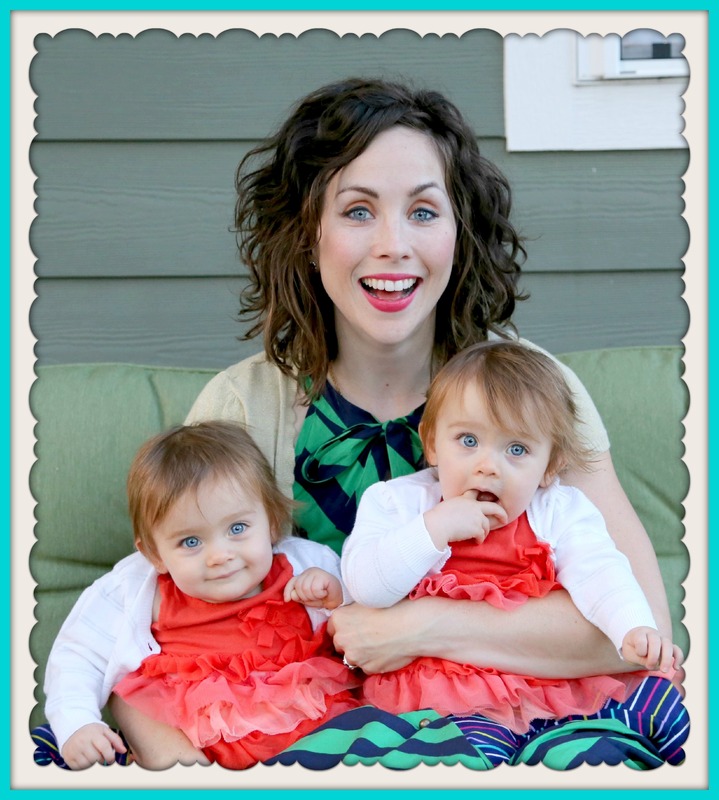 But when I wrote a post entitled “M is for Mama” in the spring of 2013, I realized that I might not be fully embracing my primary calling of mama-hood, in life or on the blog. So, in October 2013, M is for Mama was born. I hope it will be a meeting place for women to be encouraged in their adventures in motherhood and in life in general. My someday dream is to be a published author, and I’m currently working on a book tentatively entitled M is for Mama as well. I hope to be able to share more soon. But no matter what plans I have, God is the captain of this good ship lollipop, and I will go where He leads. Have your eyes glazed over yet? I totally understand. If, for some crazy reason, you want more, though, you can read 31 things about me + my “getting to know you” posts in part 1, part 2, and part 3. I’ve also been known to talk about my favorite books. Have a question for me? Or just want to say hi? I’d love to hear from you! love the new site! many blessings to you.